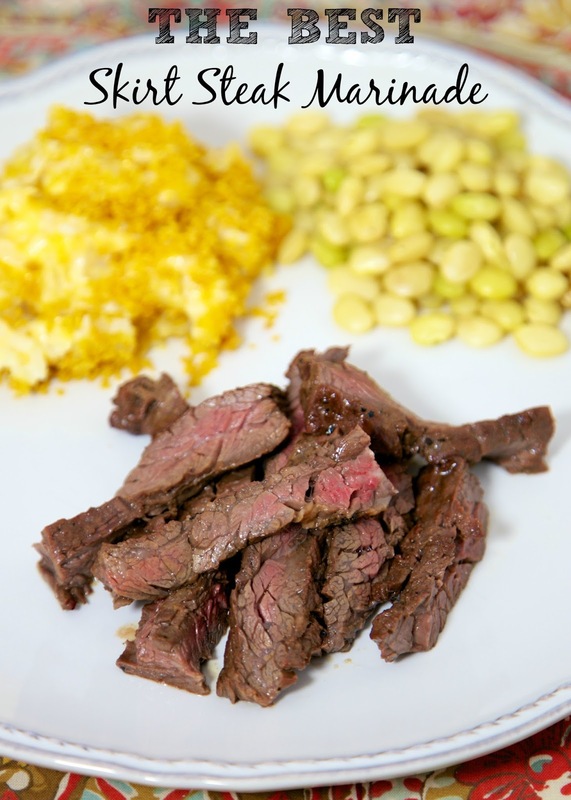 If you follow the blog, you know that skirt steak is our favorite cut of meat to grill. It is inexpensive and super flavorful. We also love that it only takes a few minutes on the grill. This marinade is super simple. You probably already have all the ingredients in your pantry. I like to marinate the steak as long as possible. I usually mix up the marinade the night before and let the meat hang out all night and day in the fridge. 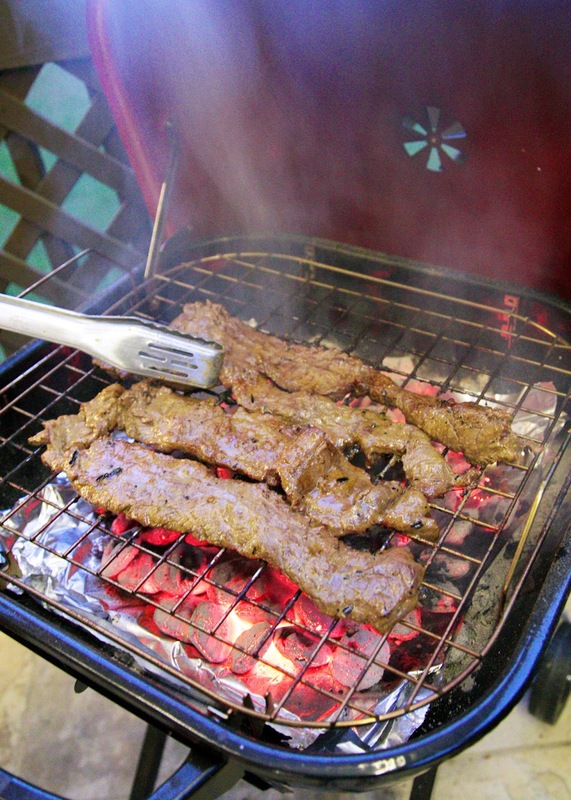 We always grill at least 2 pounds of skirt steak. It is great leftover the next day. Try it in a quesadilla for lunch. YUM! Combine all ingredients and let marinate in the refrigerator for 3 hours to overnight. Allow steak to rest for a few minutes before slicing against the grain. I have never heard of skirt steak. Is there another name for this portion of the cow? chpsusan, if your part of the country is anything like mine (I'm in central Ohio) its pretty hard to find this cut. I've never seen it at any supermarkets around here. When I'm craving it I usually have to go to a Mexican grocery in my area. If you have access to one you might try there, if not, a flank steak would be a good substitute. The steak looks delicious Steph. We'd use more skirt steak but have trouble finding it. When we were exiled to West Virginia for a year, I couldn't find skirt steak or brisket. I asked the butcher at the local Kroger for a brisket and he handed me one of those pre-packaged corned beefs with seasoning packet. I said, "No. A brisket that's the size of half a cow that you have to cook for two day..." He did not know what I was talking about! I was so glad to get back to Texas!!! We'll try this, but your herb grilled steak skirt is our all time favorite! I don't have molasses on hand, what is a good alternative?